The general public may have given up hope on drone delivery as none of their presents were delivered over the latest holiday season — despite what Jeff Bezos led us to believe. But investors still haven’t given up hope. Drones logistics company Flytrex this month announced that it has raised $7.5 million in Series B funding in a round led by Benhamou Global Ventures (BGV) with additional investment from btov. The latest Flytrex Series B funding round will go towards scaling-up the company’s operations and technology. Flytrex is most famously known for establishing a fully operational drone delivery service in Iceland, back in 2017. The company, which was founded in 2013, recently extended service to cover half of Reykjavik and has since launched their service in North Dakota as part of a gold course drone delivery system. The company says it anticipates bringing their operations to North Carolina in 2019. So how do Flytrex’s drone deliveries work? Rather than relying on landing pads and having the drones make contact with the ground, Flytrex’s patented “InAir” wire-drop system employs a tethered cord that lowers the package to the ground after the customer confirms on Flytrex’s phone app that they are in position nearby. Flytrex says it is targeting use among small and mid-sized retailers looking to keep pace with the e-commerce giants (who likely have their own delivery systems in the works — a la Google’s Project Wing and Amazon Prime Air). Many companies have struggled to turn drone deliveries into viable business models beyond one-off stunt flights. Most famously, Flirtey has taken credit for the first-ship-to-shore drone delivery, the first FAA-approved drone delivery to a customer’s home and the first urban drone delivery, though the company has never done any large-scale deliveries. Amazon also went to great lengths to tout its first delivery to a home near Cambridge in the U.K., but its drone delivery service currently only services two customers. And X (formerly known as Google)’s Project Wing delivered Chipotle burritos to college students in Virginia, but those drones didn’t fly much farther than down a hill. But if those issues can be sorted out and drone delivery companies can scale, they would be economically viable, according to Skylark Research. A $2,000 drone flying 50 hourly flights each week would cost $1.74 per trip, while a traditional last mile trip via car or foot costs $2.50, the company said. Flytrex last year was chosen as one of a handful of companies to participate in the FAA’s drone pilot program alongside companies including Zipline, a startup that is currently using drones to deliver blood to hospitals in Africa and Matternet, which also delivers medical supplies to developing countries. 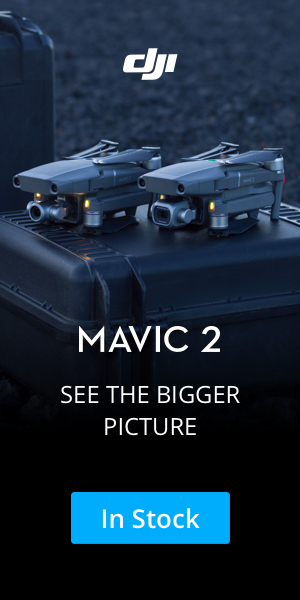 PreviousPrevious post:FLIR Systems Awarded $89 Million Contract from French Armed Forces to Deliver Black Hornet Personal Reconnaissance SystemNextNext post:Xiaomi FiMI A3 review: Is it worth it?